When Matt Busby took over at Manchester United in 1945 their stadium was a bombed and the club was bankrupt. Busby had been expected to coach Liverpool, the side he had played for, but the Scot also played for Manchester City, and perhaps due to his fondness for Manchester, it was United that he chose to manage. That decision was the turning point in United’s history. During Busby’s 26- year reign at Old Trafford they won five Championships and were runners-up seven times. United were victors in two FA Cup finals and lifted the European cup once, having appeared in four European Cup semi-finals. Busby had insisted he’d be given absolute control over the playing side, including selecting the team. The first side he built beat Blackpool in the 1948 FA Cup final and then took the league Championship title in 1952. As that side aged, Busby began to scour the country in search of raw young talent. The side he created in the mid-50s was one which many believed would be the best in Europe. The ‘Busby Babes’ as they became known had already made it to two European cup semi-finals. However after a successful quarter-final return match against Red Star Belgrade, the team was wiped out in an air crash at Munich. Eight players lost their lives on the 6th of February 1958. In all, 23 souls perished in the disaster in one of the blackest days in football. Matt Busby was so badly injured that he received the last rites. Busby did recover, and by the mid-60s had built another winning side, with the likes of Denis Law and George Best joining survivors Bill Foulkes and Bobby Charlton. In 1963 despite finishing fourth from bottom in the league, United beat Leicester City in the FA Cup final. The following season they were league runners-up, then winners in 1965 and 1967. However, Busby’s most heartfelt victory came in 1968, when ten years after the Munich disaster his brilliant side beat Benfica 4-1 at Wembley to lift the European Cup. Manchester United became the first English team to win the trophy and Busby only the second British manager to lift a cup in Europe. He was knighted that same year. Sir Matt Busby died in 1994. When Brian Clough took over the management of Hartlepool in 1965, he became the youngest manager in the country aged just 29. Known for his no-nonsense, out-spoken approach, Clough was the England manager that never was. Adored by players and fans but feared by the footballing establishment, he was never chosen for the Three Lions top job, despite his outstanding credentials. Clough had enjoyed a brief but highly successful playing career. Before it was cut short through injury, he had played for Middlesbrough and Sunderland, scoring a total of 251 goals in 274 games. He managed Hartlepool for just two years. Moving onto second division Derby County and it was there that he established his reputation. The Rams were Second Division champions in 1969 and within three years they had become League champions for the first time in their history. In 1973, Derby reached the semi-final of the European Cup, eventually losing 3-1 to Juventus. Clough left Derby that same year following disagreements with the board, moving initially to Brighton & Hove Albion and then to Leeds United. His position with the Yorkshire club lasted for only 44 days. Clough then joined another Second Division club, Nottingham Forest. Brian Clough and Nottingham Forest were together for 18 years, in a relationship that earned Clough a place in history and Forest promotion, League Championship and a host of trophies. Within two years of Clough taking the job, Forest won promotion to the First Division. Winning the Championship at the first time of asking in 1977-78. The following season, Forest won the European Cup beating Malmo 1-0. The goal scorer was Trevor Francis, whom Clough had signed for a then record transfer fee of £1 million. They retained the European Cup the following season beating Hamburg. Forest also won the League Cup four times, but never won the FA Cup, reaching the final in 1991 but losing to Spurs. Relegation in 1993 marked the end of Clough’s career, he retired at the end of the season. Brian Clough died in September 2004. Major Honours: European Cup Winners Cup 1983, 1991, European Champions League 1999, 2008, World Club Cup 2008. Sir Alex Ferguson is the most successful manager in the history of English football. 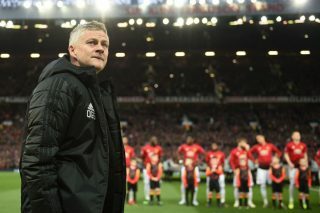 With Manchester United, the Boss has won a host of domestic trophies, including two doubles and an incredible Treble in 1999 when United added the Champions league trophy to their League and FA Cup success. Ferguson began his managerial career in 1974 with East Stirlingshire, but it was with St Mirren that he began collecting trophies, starting with the Scottish First Division Championship in 1977. In 1978 he joined Aberdeen and for eight years, transforming the club. Aberdeen broke the stranglehold the Old Firm had on Scottish football. Winning three League titles, four Scottish cups and the Scottish League Cup. Then in 1983, Aberdeen enjoyed a famous victory over Real Madrid in the European Cup Winners ‘ Cup final. A brief spell as Scotland national team manager followed, then Ferguson opted to move south of the border to restore some of the former glory to Manchester United. 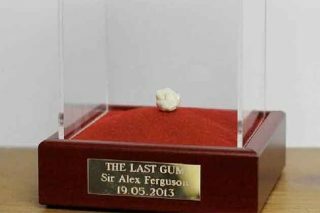 United hadn’t won the Championship for 20 years and Ferguson was under pressure to garner some silverware. 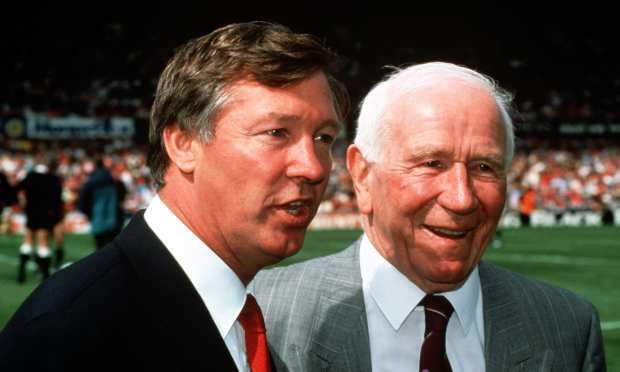 It took three years for his influence on the club to bear fruit, United won the FA Cup in 1990, then the following year they beat Barcelona in the European Cup Winner’s Cup. Ferguson had invested in a youth system at United that eventually began to produce great players such as Giggs, Scholes, the Neville brothers and David Beckham. Some wise signings including those of Peter Schmeichel and Eric Cantona completed the jigsaw into a powerhouse team which began to dominate the new Premier League era. They won the inaugural Premiership title in 1993, following that with a double in 1994 and again in 1996. However Ferguson’s greatest moment came when in 1999, when United won the historic Treble. His inspirational substitutions at the end of the Champions league final as Bayern Munich looked set to record a 1-0 win. 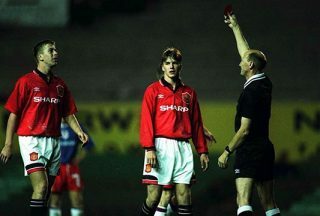 Bringing on Teddy Sheringham and Ole Gunnar Solskjaer in the closing seconds of the match, each of them scored. “Football – bloody hell,” he said. Ferguson flirted with retirement in 2002 but stayed on to build yet another all-conquering side. In 2004 United won the FA Cup for the fifth time during his reign and 2008 saw a second big-ears trophy success, following a dramatic penalty shoot-out victory over Chelsea. 2009 made it 11 Premiership titles in 17 years, putting the club level with Liverpool in the all time list of top tier league titles. Another League cup success in 2009/10 gave Ferguson his 23rd major trophy, while he also led the side to the Club World Cup success. In 2010/11 surpassing historical rivals Liverpool in winning the league title for the 12th time and overall 19 League titles for Manchester United. For many, Bob Paisley is the greatest manager to have worked in British football. He has certainly surpassed the achievements of many other manager in the game. During the nine years that he managed Liverpool, he amassed an incredible number of honours, including six League Championships, and three League Cups. The 1976 UEFA Cup and European Cups of 1977, 1978 and 1981. He was also voted six times as Manager of the Year by the Football Association. Paisley’s connection with Liverpool reached back to 1939, when he had signed with the club as a player, although the war had delayed his debut. He was a member of the title-winning side of 1947 and captained the Liverpool team in the early 1950s. Paisley had remained with the club as a coach following his retirement and became Bill Shankly’s lieutenant in the famous boot room. When Shankly announced his retirement in 1974, Paisley was the glaringly obvious candidate to replace him. Despite reigning in the great man’s shadow, Paisley took Liverpool on from strength to strength, with canny signings that aided to make them the most feared club in Europe. In 1977 he became the first English born manager to lift a European Cup when Liverpool beat Borrusia Moenchengladbach 3-1 in Rome. They had already won the English First Division for that season. Bruges were beaten the in the final of the European Cup in 1978 and the great Real Madrid were put to the Anfield sword in 1981. Bob Paisley announced his retirement in 1983 , and when Liverpool won the League Cup that year, club captain Graeme Souness led his boss up the famous Wembley steps in an unprecedented move to collect the trophy. Bob Paisley passed away in 1996. During the 1970s and 80s, Liverpool were arguably the best football team in England. Dominating the football league and driving fear and respect throughout Europe. That success was driven by Bill Shankly. Shankly joined Liverpool at the end of 1959 when they were surviving in the second tier of English football. By his retirement in 1974, Liverpool had won three League titles, two FA Cups and the 1973 UEFA Cup. Born in south west Scotland in Ayrshire, Shankly started out as a player, firstly with Carlisle then further south to Preston North End. He featured in the Scotland national team, winning seven caps with his country, before the outbreak of the Second World War ended his playing days. Shankly managed several clubs including his first club Carlisle, before being asked to take on the Liverpool task following the unhappy departure of Phil Taylor. Liverpool were prepared to invest in the club and Shankly was able to build a stronger team, resulting in promotion in 1961/62 followed on by winning the League Championship in 1964. They beat Leeds to secure the FA Cup in 1965. Winning it for a second time under the tenure of Shankly in 1974 as Liverpool dispatched Newcastle United. Shankly lifted the EUFA Cup in 1973 as would his successor Bob Paisley 4 years later, by beating Borrusia Moenchengladbach 3-2 on aggregate, with Liverpool icons such as Kevin Keegan and John Toshack as their spear-head attackers. Shankly retired in 1974. Revered by both players and fans. His name adorns the gates at the entrance to Anfield and his statue stands in the Kop. Bill Shankly died of a heart attack in 1981. While this is potted synopsis of five of the Greatest British football managers, there are other candidates such as Herbert Chapman (Arsenal), Sir Bobby Robson (various clubs), Bill Nicholson (Tottenham Hotspurs), Jock Stein (Glasgow Celtic) that for some, should be in a top managers list. For the need of brevity the article concentrates on the five major managers. It’s worth considering when deciding who is the ‘best British manager’ which managers have built winning teams at more than one football club. Managers who have re-invented teams, in keeping up to date with changes in the game through time. So an element of longevity. In my opinion one aspect which all the managers mentioned within the article have left a huge footprint over all of football, and clubs they have managed. 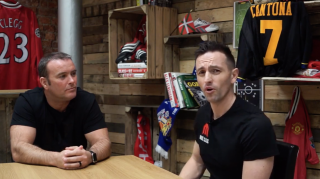 However which managers have built up from the foundations for the future custodians of the football club to uphold the original blueprint of the original structure at their respective club. The ethos of the football club being preserved the legacy that 9 Great British football managers highlighted surely have secured forever. Are there additional names of managers that should be included on a ‘greatest’ managers list. There can be no doubt who is this greatest British football manager… Sir Alex Ferguson, happy birthday.